Congratulations to this year's winners of the Marcy Chamber of Commerce Beautification Program. We recognize businesses for maintaining and continuously improving their property. Congratulations to this year's winners: Mohawk Valley Materials and Mountainside Medical Equipment, and thank you to all businesses that made an effort to improve our fair township. 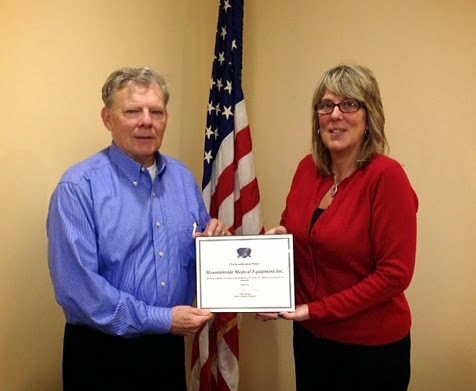 Martin Zarnock Sr., President of Mountainside Medical Equipment, receives the Beautification award from Marcy Chamber of Commerce President Lesley A. Grogan. 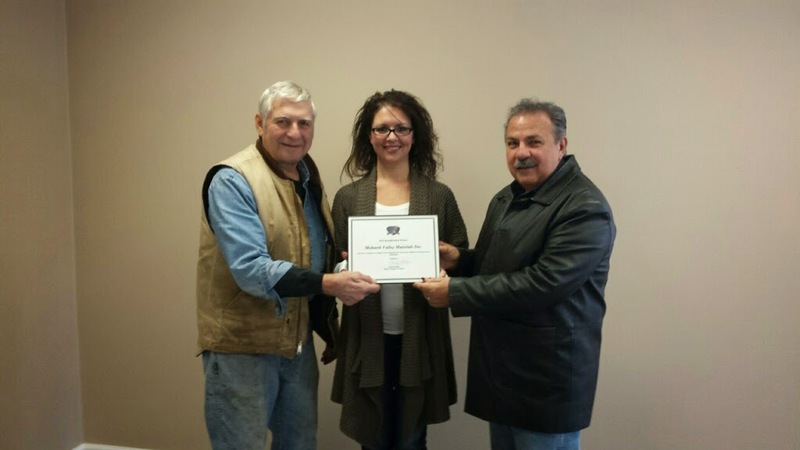 Tricia Rutkowski, President of Mohawk Valley Materials, receives the Beautification award from Sonny Candella and David Tucci of the Marcy Chamber of Commerce Board. We are happy to see the pride shown by businesses in the Marcy area. Please contact one of our board members to nominate businesses that should be recognized for setting a positive example in our community.